Irma Ciber, Border States Executive Assistant, speaks Nov. 2 at the annual United Way Women United Luncheon about how a Fargo United Way backpack changed her life. 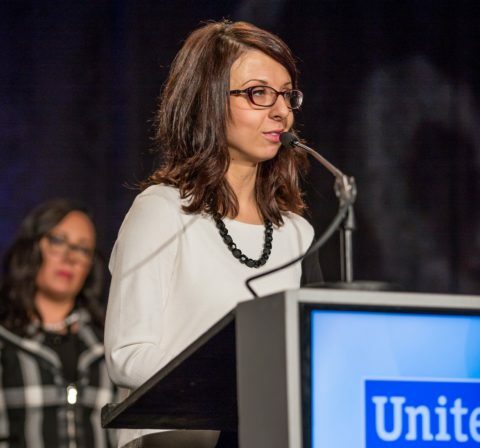 After surviving a gas explosion, fleeing a war, losing her mother, being separated from her father, and later immigrating to the United States at the age of 12, Irma Ciber finally found hope – in a Fargo United Way backpack. Watch the video. It’s been more than 20 years since Ciber, Border States Executive Assistant, escaped the destruction of the Bosnian War, a conflict that raged from 1992-1995 as a result of the breakup of Yugoslavia. It was a time when Bosniaks, Serbs and Croats fought for territory and power, leaving more than 12,000 residents of Sarajevo – 1,500 of them children – dead. Amid the constant bombing, Ciber’s family often slept on the floor because it was safer than being in their beds, which were close to the windows. Read more about Ciber’s survival during the Bosnian War. 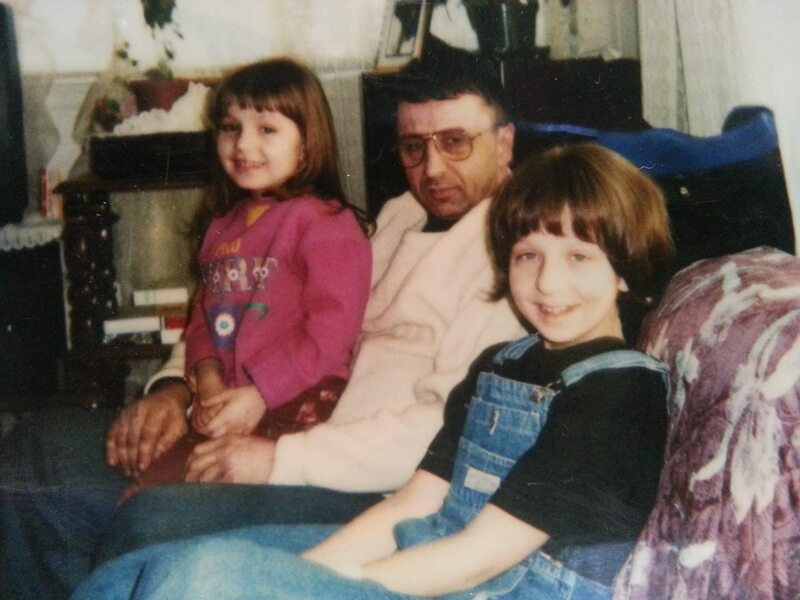 Ciber, right, with her father Denial and sister Dijana. One night in 1992, Ciber had to use the bathroom, so she asked her mother Vezira to light a candle so she could see. When her mother struck the match, it set off an explosion that blew the windows out of the house. Her father Denial and a friend had recently installed gas lines, and something went wrong. Vezira sustained third-degree burns over 60 percent of her body, while Ciber and her sister Dijana were burned on their hands, face and feet. Their father suffered only minor burns. “Bosnia didn’t have enough medical necessities to treat the burns, so they decided to let us go to a different country,” Ciber says. “Thankfully, my mother, sister and I were sent to Italy.” Ciber’s father was enlisted in the war around the same time. Despite initial worries Ciber’s hands might have to be amputated, she and her sister were successfully treated shortly after arriving at an Italian hospital. However, their mother quickly passed away. She was 38. 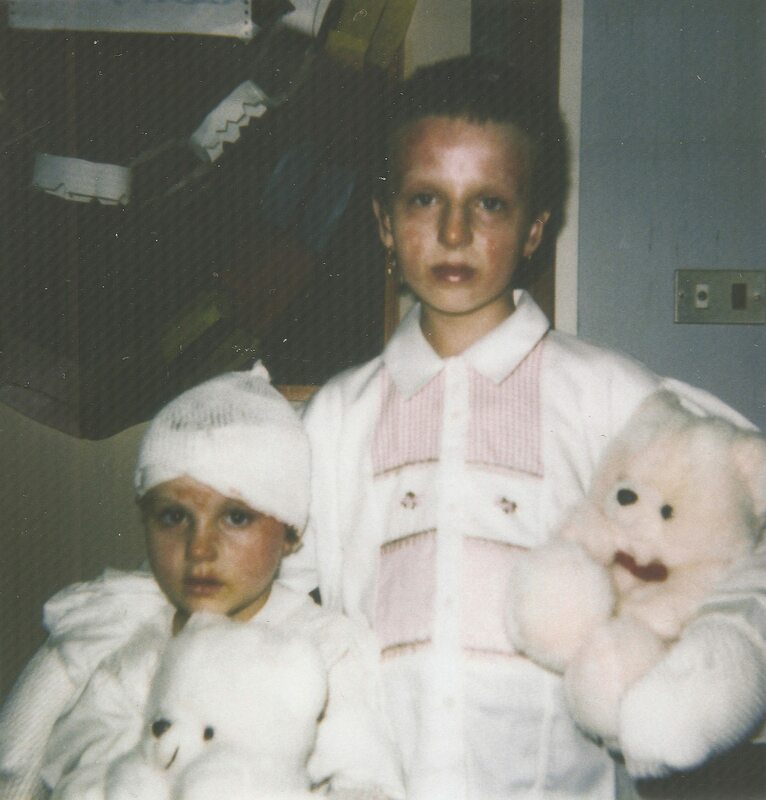 Ciber and her sister Dijana in an Italian hospital. In an instant, 9-year-old Ciber found herself taking care of her 3-year-old sister. They spent six months together in the hospital. Ciber and her sister grown up. During the sisters’ hospitalization, the Italian government adopted them out to a family, even though their father was still presumably alive and serving in the Bosnian War. After a long legal battle, the girls were eventually reunited with their father, but the Italian government required him to take the girls to a different country. The three shifted their gaze to the U.S.
“We found out that a couple of aunts and uncles had moved to Fargo, ND,” Ciber says. 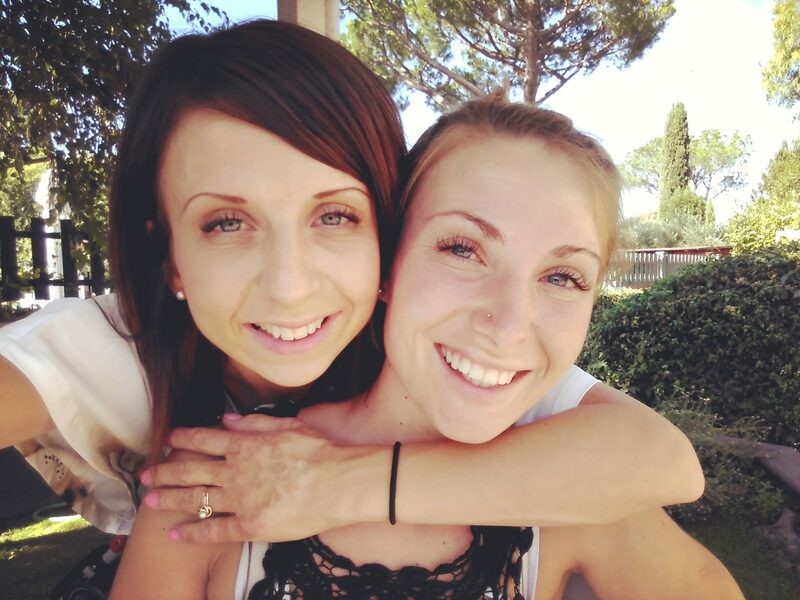 One of the aunts eventually traveled to Italy and brought Ciber, her sister and father back with her. Upon arriving in Fargo, Ciber had just turned 12. 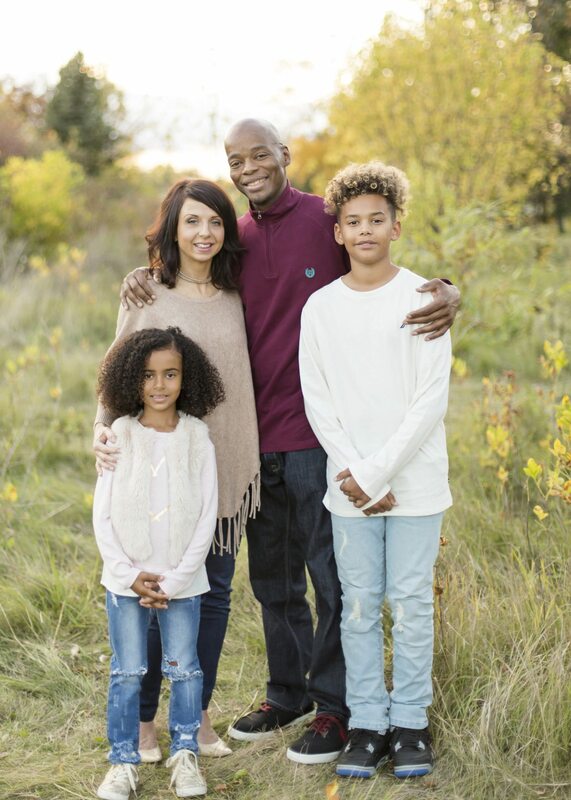 Having very little, she was quickly introduced to United Way of Cass-Clay’s School Supply Drive, through which she received a new backpack – and entered a beautiful new chapter in her life story. The backpack meant everything to Ciber. It opened her up to a world of inclusion and success. Today, Ciber continues to donate toward and volunteer with the School Supply Drive. She understands what it means for kids. Learn more about United Way of Cass-Clay’s School Supply Drive and backpack program.